The idea of a young luxury hotel brand competing in Paris, the world’s #1 tourist destination, seems like a difficult task. 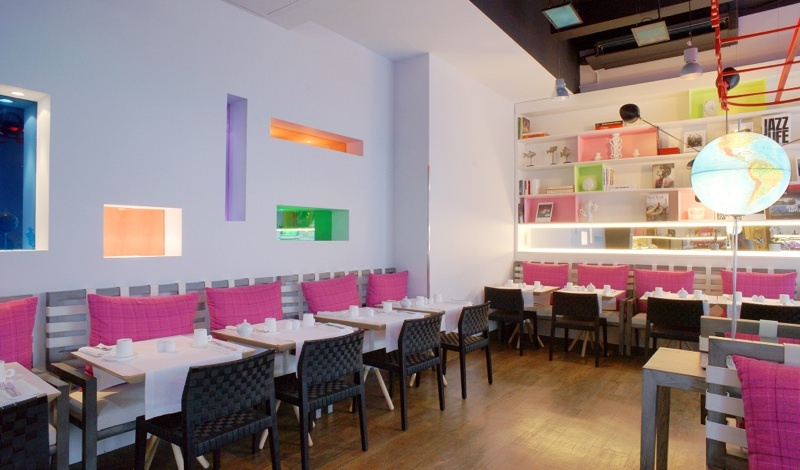 However, not only has Bessé Signature competed, they’ve flourished, making a name for themselves in a city filled with luxurious hotel options. What began as a run-down hotel in Brittany has morphed into a Relais & Châteaux property with a Michelin-starred restaurant, and expanded to Paris, where the group currently owns four boutique properties. Located in Paris’ best arrondissements, Bessé Signature hotels are elegant and lavish, but have individual personalities. 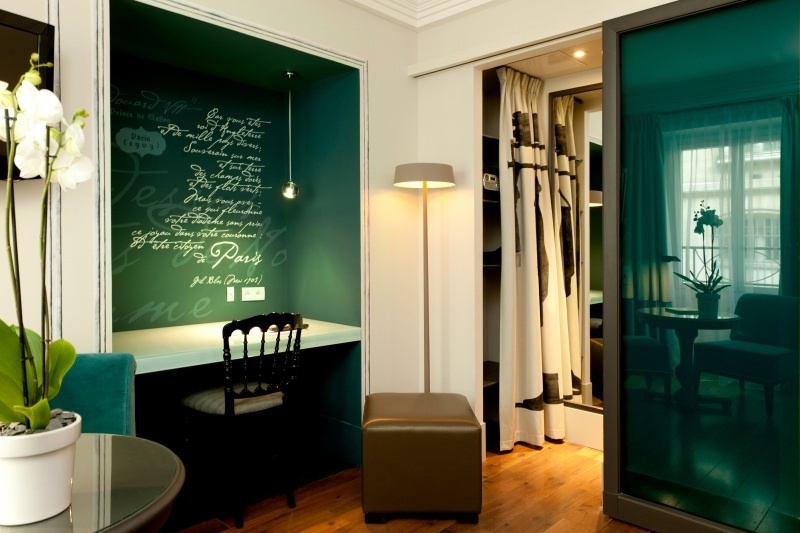 The five-star Hôtel Bel-Ami is contemporary in style, with homage paid to its past as a former book factory. 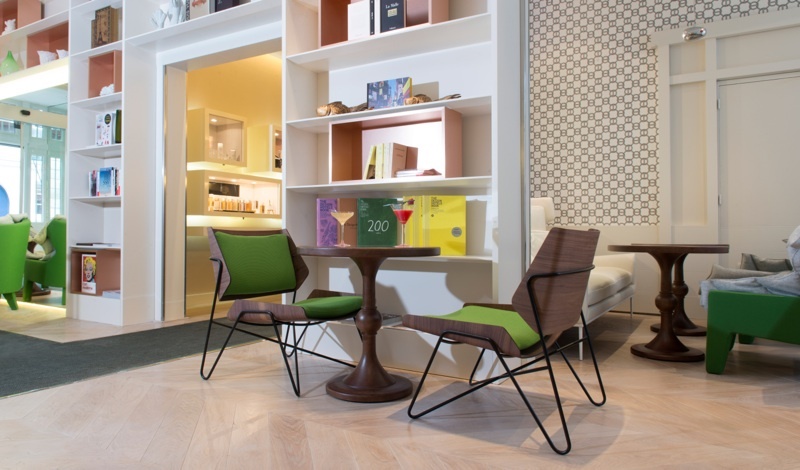 The vibrant and cheerful hotel has 108 newly remodeled rooms, and is ideally located in Saint-Germain-des-Prés. 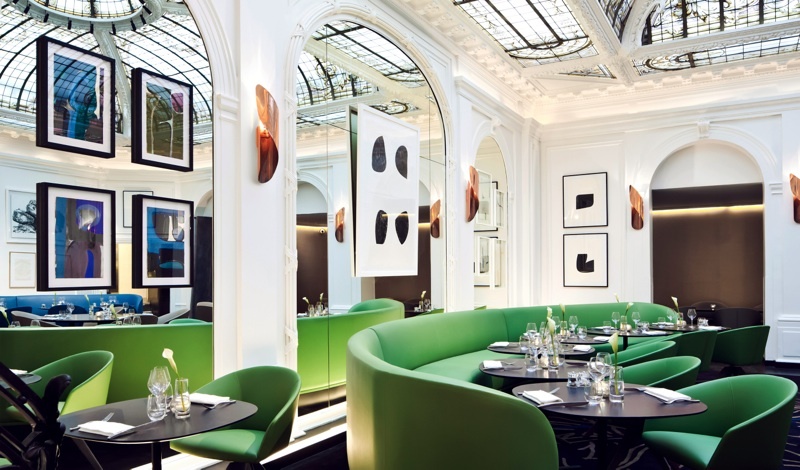 As the brand’s only four-star hotel, the recently refurbished Hôtel Edouard 7 pays tribute to the stylish British monarch of the 19th century. 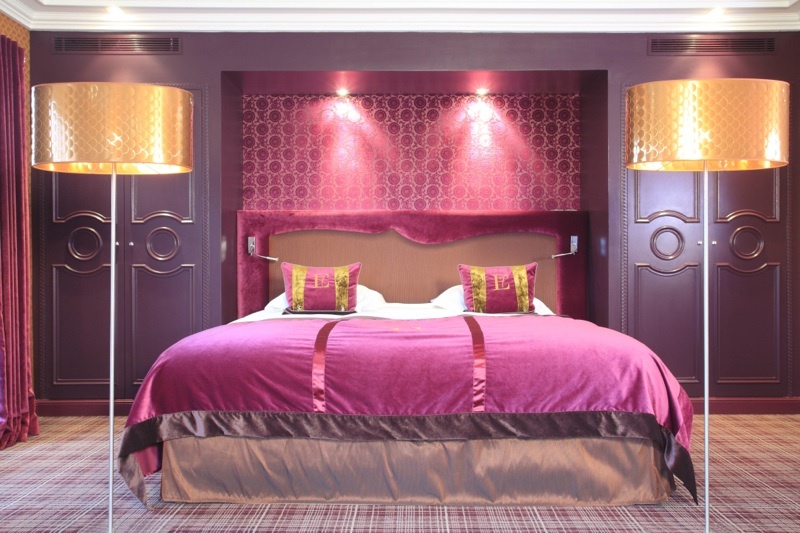 As the only hotel located on Avenue de l’Opéra, this “couture” property is housed in a Haussman- style building, and features rich fabrics in bold shades. Its sixty-nine rooms and suites are designed with different atmospheres and themes, divided over seven floors. Two Bessé Signature five-star properties are found on the cusp of the Champs Élysées: Hôtel de Sers and Hôtel Vernet. A “baby palace” and former home of the Marquis de Sers, Hôtel de Sers is classically French in style, but features the most modern technology throughout its forty-five rooms and seven suites. 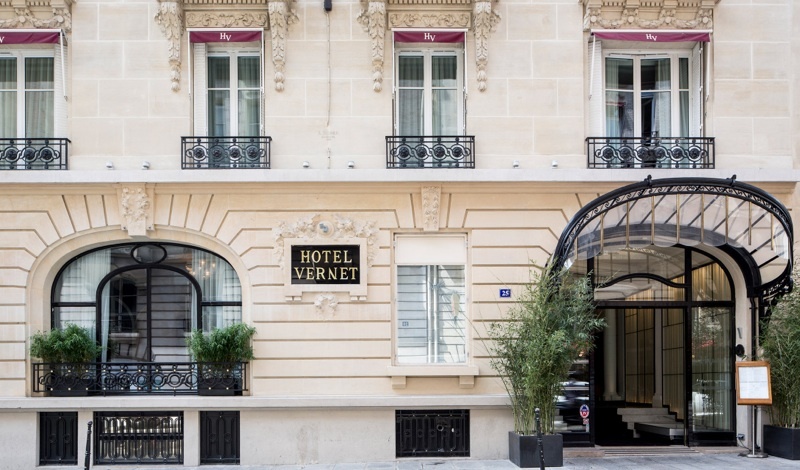 Entirely renovated in 2014, Hôtel Vernet is located in a Haussman-style building with a glass dome designed by Gustave Eiffel. 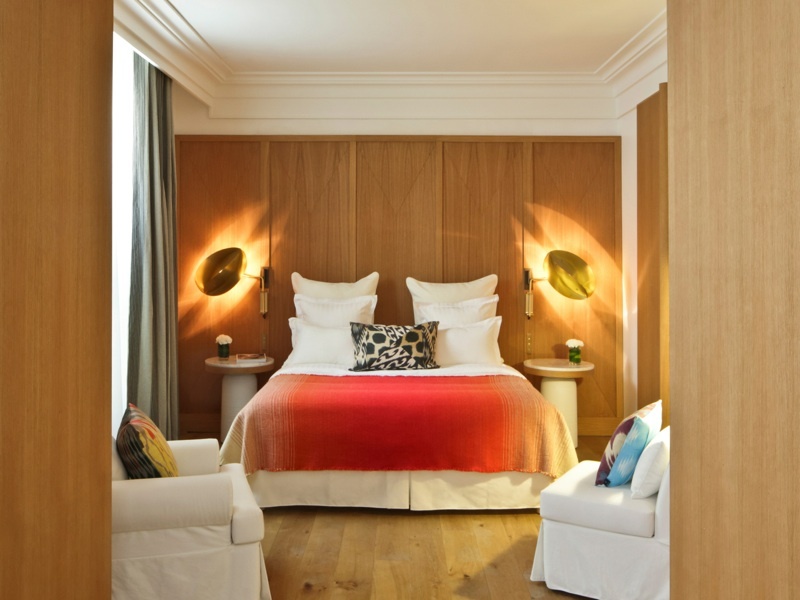 Designer, François Champsaur, created a contemporary theme throughout the hotel’s fifty-seven rooms and twelve suites. I first met Anne Jousse, the CEO of the French-owned Bessé Signature, at Musée de l’Orangerie in September of 2014. I was invited to attend the exclusive preview of the museum’s new Émile Bernard exhibit that Bessé Signature was sponsoring. Dynamic and gregarious, Mrs. Jousse intrigued me. Being a luxury hotel junkie and having experienced three of her five properties, I wanted to learn how this wife, mother and former insurance broker became a luxury hotelier in arguably the most luxurious city in the world. 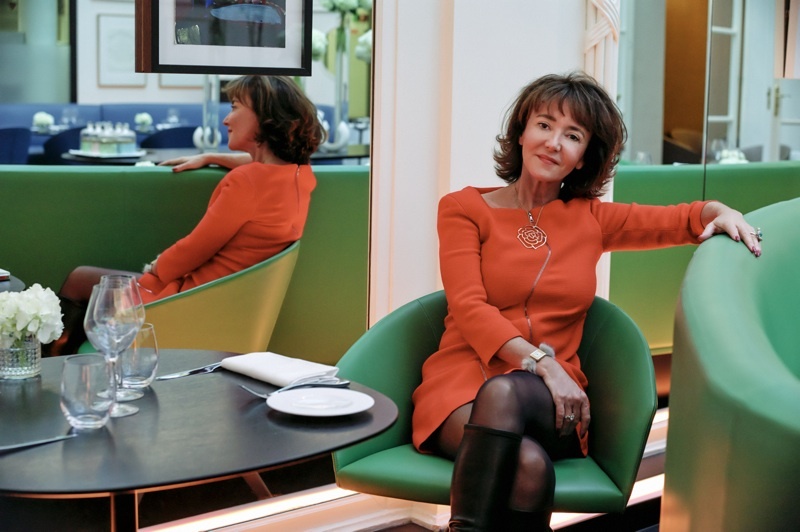 Almost three months later, I was finally able to chat with Anne Jousse about hotels, Paris, luxury and travel, in the colorful lounge of Hôtel Bel-Ami. LW: Bessé Signature is a family business. Please tell me about the origins. AJ: Fifty years ago, my father (Alain Bessé) started Bessé Conseil en Assurances, an insurance brokerage company, which he had until he died. During the 60s and 70s, he played golf at a place called La Bretesche, which is next to our head office in Nantes on the west coast of France. The golf course later went through bankruptcy, and my father bought it. There was also a small hotel next to the course, and when the course owner retired, my father purchased that as well. Although my father knew nothing of being an hotelier, he took on the project, completely remodeling the historical 15th century hotel, while keeping his main job as an insurance broker. Soon, the thirty-room Domaine de La Bretesche opened as a Relais & Châteaux property. Later, my father handed the responsibility of the hotel over to me, even though I had no hospitality experience. 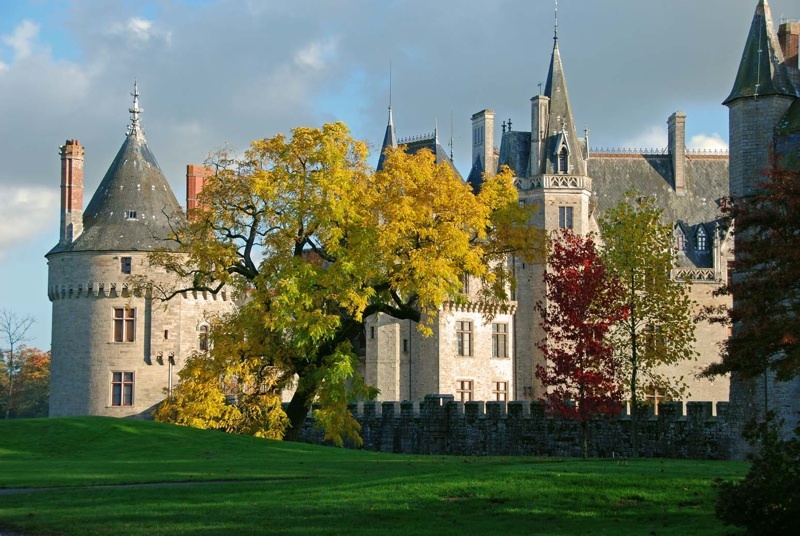 I kept my principal job as an insurance broker, while overseeing Domaine de La Bretesche. In 2003, we sold part of our insurance company and were looking to invest elsewhere. We decided to expand in the hospitality industry, but wanted something that wasn’t seasonal. The only logical place to go in France was Paris. 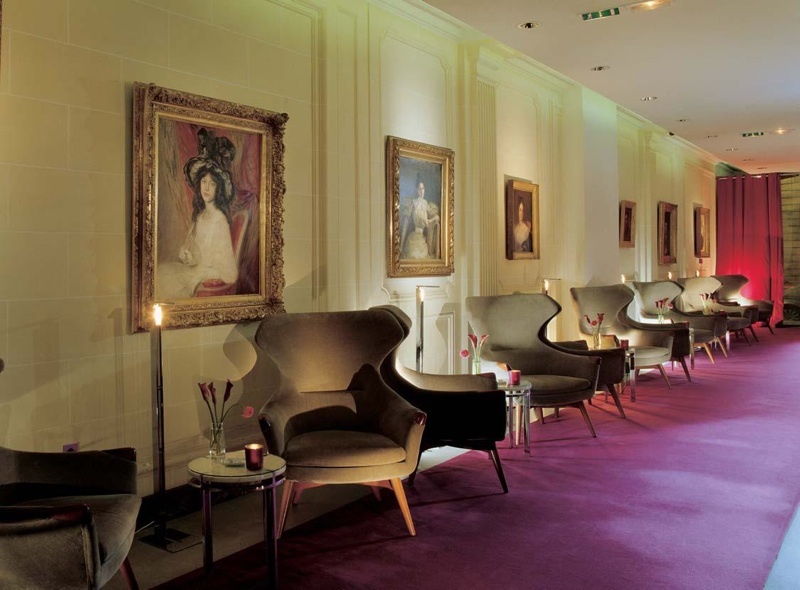 LW: There are currently four Bessé Signature hotels in Paris. How did you choose the locations and decide on these particular properties? AJ: About eleven years ago, we took a map of Paris and decided on three areas: Opera, Champs-Élysées and Saint-Germain-des-Prés. We then searched the real estate market. The first property we found was Hôtel Bel-Ami in Saint-Germain-des-Prés. Because of the economic crisis, Goldman Sachs had the hotel for a year. Nobody wanted to buy it, and I don’t know why. It’s perfectly located and has more than 100 rooms, which is huge for the area. We learned (the Parisian hotel business) for a few years with Bel-Ami, and then in 2007, opened Hôtel Edouard 7, the only hotel located on Avenue de l’Opéra. Two and a half years later, we found the third location– Hôtel de Sers, near the Champs-Élysées. This was an easier project, since it was already a five-star hotel and refurbished five years prior to our purchase. There was nothing to do. There was a good team inside, and it was not so difficult. Buying a fourth property was not in our strategy. However, we were presented with a good opportunity and purchased the Hôtel Vernet, also near the Champs-Élysées. Open for about 100 years, this was a very well known hotel, both in Paris and even abroad. It was in terrible condition. This was the first hotel that we closed and completely refurbished. It had to be in line with the Bessé Signature brand. For four months, Hôtel Vernet was closed. We reopened the bottom two floors and fifteen rooms, then worked our way up, refurbishing floor by floor. 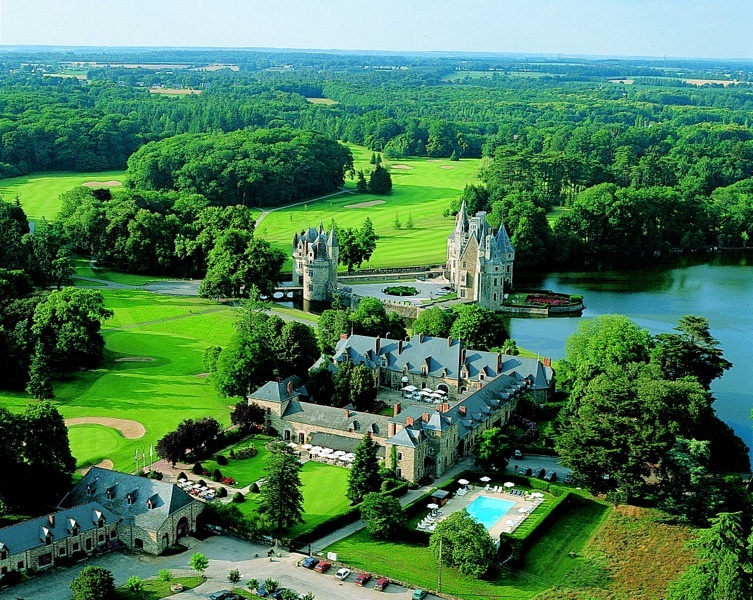 LW: With four hotels in Paris and one resort in Brittany, are there any new properties on the horizon? AJ: Yes, absolutely. There will be another Paris property. It has been delayed a little bit, but should be done by the end of 2014. It was another good opportunity, but now I think we will stop expanding in Paris, probably. I have thought about the Marais. I love this area, but for a hotel to be successful, it must reach both corporate and leisure guests. Leisure is not a problem, but corporate is more difficult. I would love to have a hotel in the Marais, but it’s not my priority. The future has to be in London. I think London represents more or less many of the same characteristics as Paris. It will be a big step for us. LW: You’ve been quoted as saying, “Luxury is an emotion rather than a product.” Would you elaborate on that statement? AJ: When you buy a bag from Hermès, it is pure luxury. If you compare it to another brand that is not called Hermès, you can have almost the same kind of product, but Hermès is not written on it. When buying a Hermès bag, there is a strong emotion that is linked to the brand. In fact, I think it’s the same with hotels. It’s not the nice table, chair, etc., it’s more the emotion you have when entering or staying in the hotel. You can enter into a nice palace hotel, and there are some in Paris, and not feel anything. For me, that’s not luxury. LW: With so many luxury hotels in Paris, how do Bessé Signature properties differentiate themselves from other five-star hotels? AJ: I think you should ask our guests. It would a little bit pretentious for me to say. There are very nice five-star hotels in Paris. Globally, the city’s brands are increasing, which is a very good thing for all of us. What I see comes from our guests’ electronic reviews, and I see almost all of them daily. The reviews are interesting to read, because it’s how the guests feel. If they say the shower isn’t working, the light was not good, etc., that’s interesting, but they also give their feelings about our personnel. The reviews often recognize the staff’s empathy. We teach them to treat guests like family and welcome them as if they are in a house rather than a hotel. I think our guests can feel that. Another common review point, which is quite physical, is the location of our hotels. Each one is perfectly located in its area. 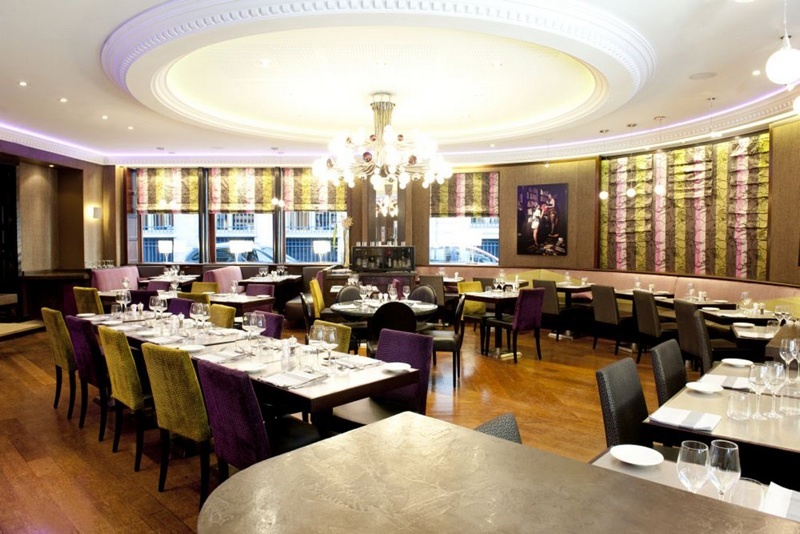 When we say Hôtel Edouard 7 is in Opera, it’s actually located on Avenue de l’Opéra. You can’t be more Opera than that. In fact, I think the most important thing about a hotel is the location, and I can also see that through the guests’ opinions. LW: When it comes to Bessé Signature properties, what are your non-negotiables? AJ: I think the most important thing is how guests are welcomed. If the staff is smiling and helpful, guests seem to forget what might not have been perfect on the physical side of the hotel. Also, the quality of the bedding must be perfect, because guests come to hotels to sleep. LW: What is your guest profile? AJ: At Domaine de La Bretesche, most of our guests come from France. In Paris, our profile isn’t directly linked with our hotels, but rather the area. The guest profile of Hôtel Bel-Ami is different from Champs-Élysées, for instance. At our Paris properties, 25% are Americans and 20% are French. At Bel-Ami, we have a lot of Brazilians, Argentinians and Australians. At Opera, there are many Japanese and Russian. Then on Champs-Élysées, we have a lot from the Middle East. Guests’ ages range from 30-80. Of course, we’re not backpacker hotels, so there needs to be a certain level of income. Also, 2/3 of our clients are leisure travelers and 1/3 are corporate, which is typical of hotels like ours. LW: You actually live in Nantes, so what is your ideal day as a leisure traveler in Paris? AJ: In the morning, I would go jogging along the Seine or in Luxembourg Gardens. Then breakfast, followed by a museum exhibition, since it’s normally quieter in the morning. I love Musée d’Orsay, and want to visit the reopened Picasso Museum, but it’s still queuing. I’m less interested in Bobo (short for bourgeois and bohemian), to be honest, even though I went yesterday to the Jeff Koons exhibition. Afterward, I’d have a lunch. During the spring or summer, I’d have light food and a glass of wine on a terrace. The afternoon is for shopping and walking. I enjoy walking around and looking at the tops of buildings, since that’s where the “For Sale” announcements are found. I visit areas that I usually don’t go to for work. I like the Marais, not necessarily for its boutiques, but for the global ambiance. I like the Left Bank–Saint-Germain-des-Prés and the 7th arrondissement—with its galleries and antiques. It’s a nice mix. I love Palais-Royal. There are nice shops, it’s quiet and the garden is just wonderful. So, I might have a drink there. At night, I’d go to dinner with friends and maybe see a Broadway-type show. LW: When you take a holiday, where do you go? AJ: I go everywhere. I love to travel. I like to go to nature, and generally where there are no French. I am often in the middle of nowhere. Last summer, I went to Wyoming, Montana and British Columbia. It was such an experience–very wild. It’s another way of life. The landscapes are beautiful and the water pure. In Europe, we have a lot of advantages because everything is close, but it’s very packed. We don’t have these big, wide areas. I like Africa, too. I often go there. I like Asia. I like everywhere, although I try to avoid cities. It’s okay at the end of the trip to get back to civilization, but I prefer to be in wild areas. Two years ago, I went to Ghana to see the gorillas. I had to walk two hours through the jungle to see them. I do love towns—New York and San Francisco. I like London, all the Italian cities. Well, Venice is one of my favorites. I go every year and would go more if I had time. Hotel photos are courtesy of Bessé Signature. Photos of Anne Jousse are by Steve Herud.